At HORANDO the watch star from Florence shines with the shooting stars Radiomir and Luminor. Mike Horn is an extreme sportsman, expedition leader, explorer and - Panerai-carrier. Pure testosterone: The weather-hardened, storm-tested adventurer was the first to swim up the entire Amazon, run to the North Pole and circumnavigate the earth in a sailing boat. His mission: to shake up humanity with the message how beautiful but also endangered the planet Earth is. As a sponsor - Mercedes, as a timepiece - Panerai. Not without a hint: The Italian manufacturer of first-class luxury watches is so closely associated with water, the sea and sailing that it also operates its own two-master, the 35-metre-long yacht Pangaea, the world's largest expedition sailing ship. With Mike Horn at the helm, for example on the daring sailing trip from Sao Paulo to the southern tip of Africa, to Cape Town. His Panerai Lumidor lies in the waves with him. Mike Horn and Panerai belong together like the wind and the sea. Both highly attractive. Both are inspired by a common idea. A watch that combines Italianità with Swiss solidity and wrote watch history - this comes very close to a legend. The Panerai Mare Nostrum or the Luminor are the flagship watches of the Florentine watch manufactory, which introduced legendary military and diving watches in 1860 and the first watch with luminous hands in 1916. In 1860 Garibaldi formed the Italian nation state - Giovanni Panerai opened his Orologeria Svizzera in historic Florence. The authentic place can still be visited today. The Swiss watch trade was followed 30 years later by the change of name to Officine Panerai after the takeover of grandson Guido Panerai. For decades it distinguished itself in the manufacture of precision mechanical products such as compasses, depth gauges, time fuses or calculating machines.From 1913, the main customer for nautical precision instruments was the Italian navy, a business league that was to become a central theme in the company's future history. With inventions and patents in the watch and optics sector, the trail was laid for the production of the first Officine Panerai watches in 1936, but more than 60 years were to pass before the first public model series were presented. In the decades before, Panerai produced mainly for Italian naval combat swimmers and officers. This explains the choice of the large dial, on which all features could be read optimally even under water. The invention of the luminous substance "Radiomir" (with radium component) led to the marine divers' wristwatch of the same name, which was initially rigidly limited and produced under the strictest secrecy. A further development of the legendary Radiomir, Panerai added a rotating bezel and delivered it to the Egyptian Navy in the 1950s. In 1980, this was topped once again with the development of an up to 1000-meter waterproof diving watch in a titanium case. In the 1990s, the watch manufacturer finally entered the development of watches and diving chronographs, which were also aimed at private customers, with the presentation of the "Luminor Base", "Luminor Marina" (e.g. reference PAM00510) and "Mare Nostrum" model ranges. Between 1938 and 1993, Panerei still incorporated Rolex movements into its models. After the takeover by the Richemont Group in 1997 and supported by the Panerai enthusiasm of its CEO Franco Cologni, the company's own movements were now ticking in model series based on the Panerai classics. For example in the Manufattura line, which astounded with technical refinements and refinements. In the nineties, design and appearance, the oversized dial and the typical crown protection bridge were still perceived as unfamiliar by contemporary tastes, but the Panerai watches soon achieved cult status. Last but not least, the attention that film stars like New Year's Eve Stallone gave her promoted the value and image of the brand. The Luminor Marine appeared in 1000 over-the-counter copies and proudly presented itself on Arnold Schwarzenegger's wrist in films such as "Eraser". Panerai style and statement could not be more authentically personified. 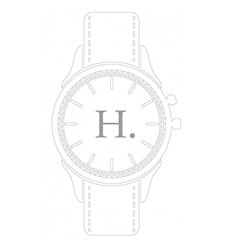 Buy luxury watches online? Not without my Panerai! As the company produced models up to the 1990s that were largely unknown to the general public, the rare specimens from this period have multiplied their value today. Mainly traded via auctions, the value increase potential is enormous, but also with the current Panerai models. Is it perhaps also because a certain glow flashes in the eyes when you see them? Even without the name on the dial, the Panerai is immediately recognizable not only to connoisseurs by its face full of character. Just a watch like a primitive rock, this Panerai. At the Geneva Salon International de la Haute Horlogerie2015, Officine Panerai presented its novelty "Luminor 1950 3 Days Flyback Automatic Ceramica". A chronograph, a masterpiece that succinctly embodied the credo of the "innovation, exclusivity, perfection" brand. His profile: case made of synthetic ceramic and zinconium oxide, size 44 mm. Low weight. Harder than steel. Corrosion-resistant, scratch-resistant, temperature-resistant, waterproof. The production of black ceramics undergoes a number of complex shaping and processing steps until the absolute consistency is achieved in a firing process at temperatures of up to 1000 degrees. The matt, pleasant and skin-friendly surface achieves an efficient glass bead radiation. Tobacco to chocolate brown leather straps pick up the colors of the hands and emphasize the virile look of the Panerai luxury watch. The "Flyback function" of the chronograph enables the "Stop", "Set to zero" and "Start" functions to be reached in a single operation.The new caliber P.9100 with its 302 individual parts is manufactured by the in-house manufactory in Neuchatel. The dial is structured by a blue chronograph second hand, a central coated minute hand and a date display positioned at 3. The clockwork is visible through a viewing window in the screwed case back. A unique litter, this Panerai Luminor after the model of the flagship from the thirties (e.g. 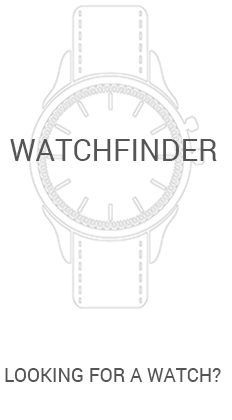 reference PAM00676). On the same occasion, the nautically elegant Mare Nostrum Titanio - the luxury watch of the royal Italian naval officers - made its sensational debut. Unlike its historical steel predecessor, it is made of titanium, its diameter of 53 mm is impressive and its movement desires manual winding. Like the Luminor, it appears in just 150 unique pieces.